This is an easy stitchpainted Charley Harper needlepoint design. Suitable for beginner and experienced stitchers. The needlepoint design area measures approximately 12.5" x 16.75". If you need stretcher bars to tack your canvas to while you stitch (optional), then we recommend one pair of 16" and one pair of 20" for this design. 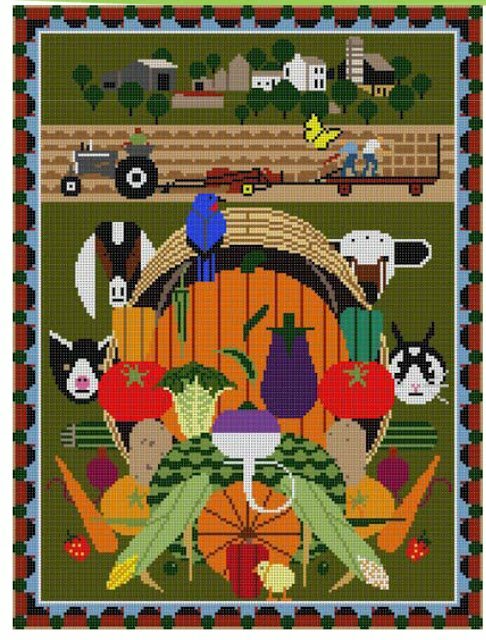 This Gorman Heritage Farm Charley Harper needlepoint canvas usually ships within 1 week. Contact us to inquire about availability.